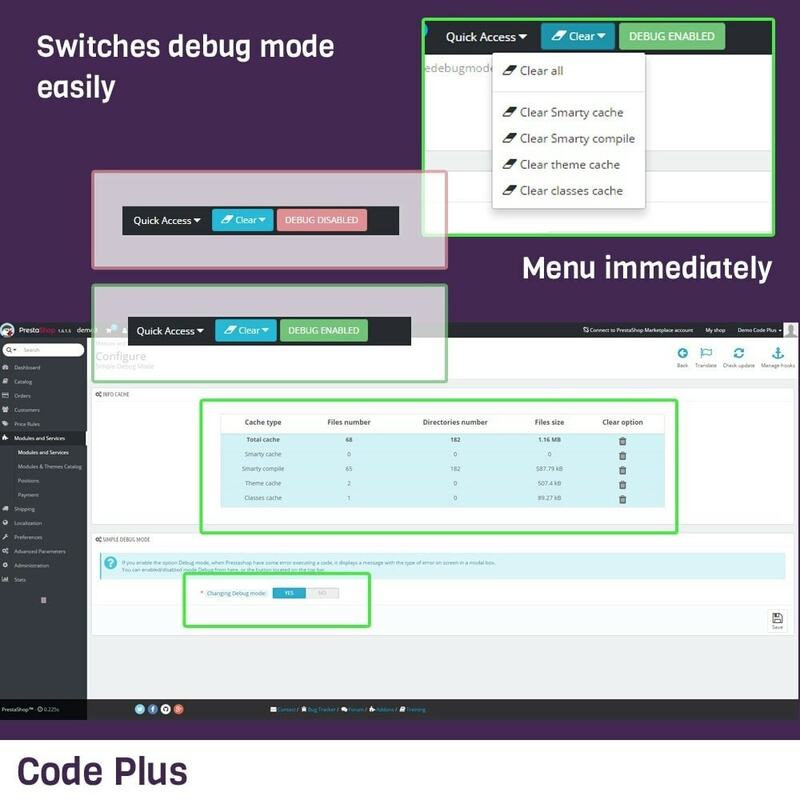 Switches Debug mode easily from any page of Back Office. 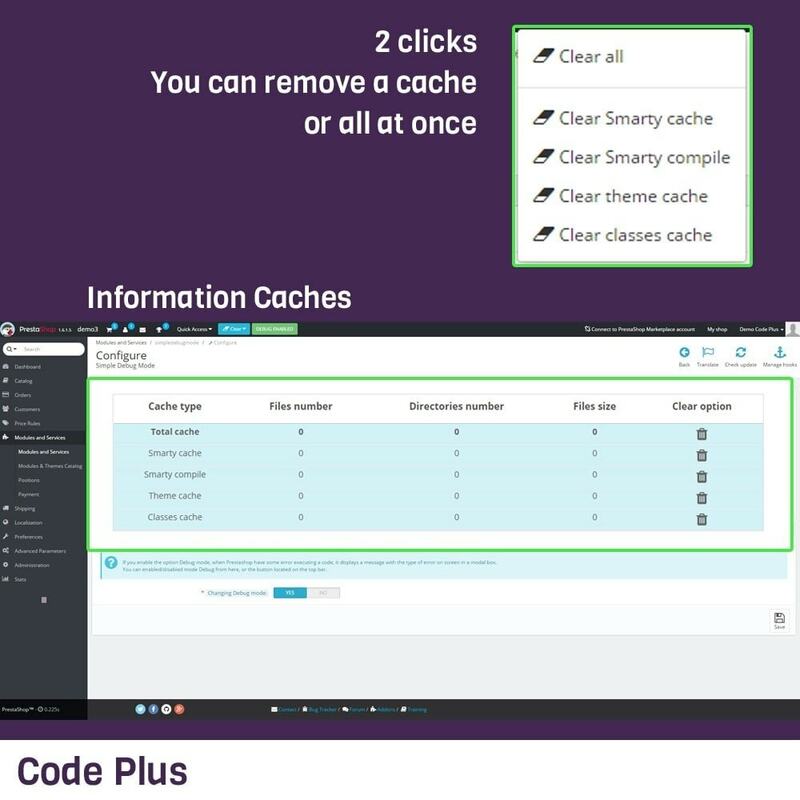 It eliminates the system cache from the Back Office in just 2 clicks. Avoid modifying files to enable or disable the Debug mode. Prevents access the FTP or console to delete cache files. Everything is done from the Back Office. Controls the amount of cached files. 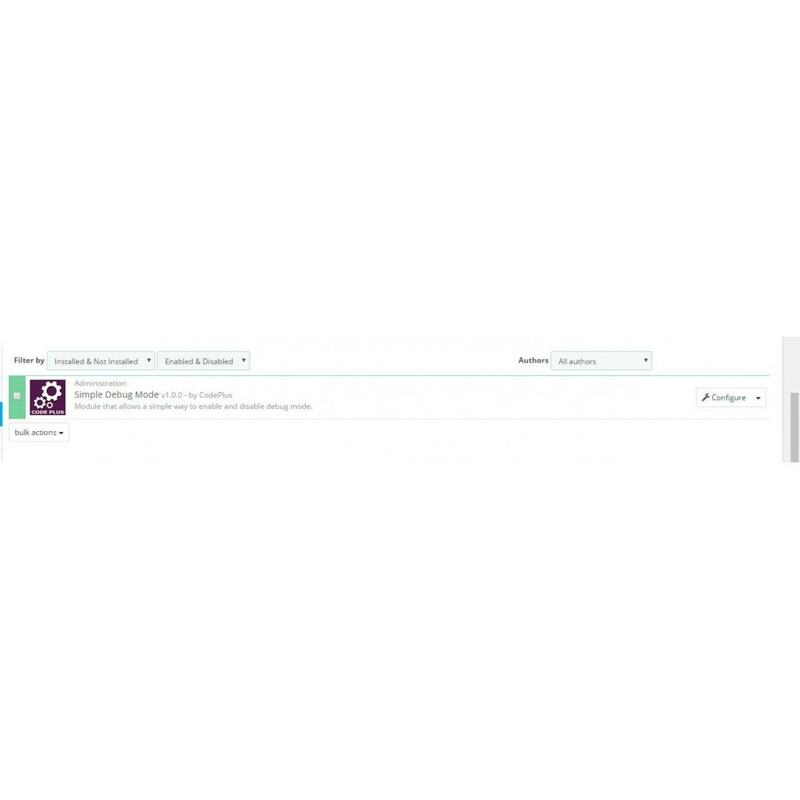 Enable or disable the Debug mode from any page of the Back Office. Caches remove the system from the top menu Back Office. Information on number of files and cached folders. Information on amount of memory used for the cache.